The Shutdown Crisis. What would George Washington say? 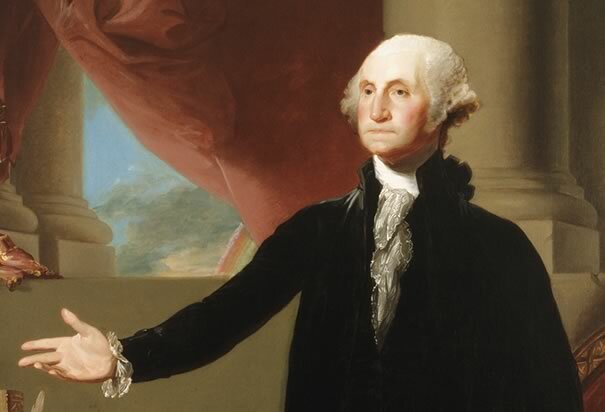 If you or anyone you know can forward this to someone in the Executive Office or Congress, please do with the direction, "Please read this in a public setting where all United States citizens can hear the following (at the very least the statement from George Washington) and then invite a discussion about, 'What would George Washington say about the shutdown crisis?'" Knowing that I am a former trainer of FBI and police hostage negotiators Peter Samuelson, social entrepreneur, sent me a link to this excellent Daily Beast article by Executive Editor John Avlon, "Shutdown Crisis: We Need a Hostage Negotiator" to see what I thought. What I thought is that the transformational solution (we really do need to change the way government works if it is to truly serve the people that elected it) we need is being held hostage by people who are "dyed in the wool" transactional. Too often, such highly partisan leaders have their heels dug in up over their eyes and ears (which explains why they have blinders on and can't listen) and therefore view nearly all negotiations as "zero sum." To find a role model of the kind of heartfelt leadership we need to get us through this, I looked to our present and looked forward and couldn't see any. So instead, I looked backwards - really backwards -- to perhaps the most bipartisan leader we have ever had. George Washington was "the President who could have been king," but passed the baton of power instead of being intoxicated or seduced by it. Though, in reviewing the incidents of my administration, I am unconscious of intentional error, I am nevertheless too sensible of my defects not to think it probable that I may have committed many errors. Whatever they may be, I fervently beseech the Almighty to avert or mitigate the evils to which they may tend. I shall also carry with me the hope, that my country will never cease to view them with indulgence; and that, after forty-five years of my life dedicated to its service with an upright zeal, the faults of incompetent abilities will be consigned to oblivion, as myself must soon be to the mansions of rest. These words represent a transition of leadership unprecedented in all of human history up to that time. This can be said without American bias. This was the first time a soldier, turned citizen-leader, willingly and voluntarily turned over the power of civilian government to another yet to be determined citizen leader. Known as Washington's Farewell address, it was not an address at all but an open letter to the then nascent American People. In order to fully appreciate the magnitude of this transfer of power, some historical context is important. Also, there is much that can be learned by entrepreneurs from George Washington, aside from this act of selfless leadership and dedication to his ultimate objective of creating a nation. Washington was after all, an entrepreneur himself. He had to creatively resource the new and under-resourced Continental Army. As a leader he had to train, organize, motivate and manage this new and different fighting force. His competition was larger, better trained, more mature and better established in its approach, and very well capitalized. He led his people through very adverse circumstances, always keeping them focused on their higher purpose rather than their current difficult state of affairs. Washington had a keen understanding of the importance of making time your ally rather than your enemy. He did this through conscious procrastination, the art of picking your spots and not acting in haste. He knew that in order to achieve his ultimate objective, he did not have to defeat his enemy in every situation. He needed to achieve small, important victories that would inspire his people and sow the seeds of doubt in his enemy. Washington understood that the most important thing was to sustain and persevere. Rather than defeat the British militarily, he had to break their will. He had to convince the British command and the British soldier in the field that although the Continental Army might not achieve a decisive military victory, they would also deny that opportunity to the British. He needed to give the new enterprise, known as America, the gift of time. The time to develop, congeal and coalesce as a nation. To understand the monumental task that Washington undertook is to understand the stature he gained upon having achieved it. Achieving victory with the forced expulsion of the British via the Treaty of Paris, gave Washington nearly unprecedented power and popularity. He was a truly mythic figure. His likeness was everywhere. Nearly all revered him and even his enemies and detractors had deep respect for his achievements. There were greater thinkers, orators and writers at the time, but no greater recognized leader then Washington. Washington could have had himself crowned king of America at that time and there would have been little to stop him. Instead he chose a different path. And with that choice set off a chain of events that has led to over two hundred years of peaceful, orderly transitions of power in the world's oldest operating democratic republic. In September of 1796, Washington demonstrated that he knew something that entrepreneurs, founders and leaders of all types should know, but all too often fail to realize -- it was time. It was time to transition to the next level of stability and maturity as a government and as a nation. Good leaders know how and when to lead, great leaders also know how and when to leave. Had Washington chosen to continue, he knew intuitively, that the entire future, and nature of leadership in America, would be forever different, and not better. He would have left the members of this new democratic republic with the sense of dependency on charismatic leadership vested in a man, rather than the independence derived from faith in themselves, institutions, process and their guiding principles. In effect, Washington had come to an inflection point in the development of the new nation. Done well, the orderly transition would set this new country on an upward trajectory for growth and prosperity. Done poorly, the course would be set for dissension, dependency and the strong possibility this new enterprise would never reach its potential or survive at all. By powerful example, Washington created a fundamental precept that resonates today in American culture. That dedication to a cause, an idea, or a principle larger than yourself, demands that you subjugate yourself for the good of the whole. The power of humility cannot be underestimated in a great leader. A clear understanding and recognition of our faults can have a profound impact on others. The Farewell Address is a masterfully conceived message that in its entirety embodies both great ideas with the humility of a Virginia farmer of the day. The Farewell Address is a great study of how one gets the message out, and also about knowing your audience. The Farewell Address was never delivered as a speech, as many messages of its type were delivered at the time. Instead it was published as an open letter to the American public in a local newspaper and subsequently picked up and reprinted all over the country. Washington was a master of symbolism, rituals and traditions from his years of military service. The crafting and placement of this message is no exception. Instead of an address to the Congress which may or may not have made its way to the people, he bypassed Congress completely and took his case directly to the public. It was his way of sending a powerful message about their role as a central player in the future success of their country. Again, an unprecedented notion for the time. The new country and its people were still trying to find their way in this new experiment, in effect seeking their vision. This strategically brilliant use of media and direct communication not only conveyed the message in its content, but reinforced it through its method and use of plain language. Certainly, most of those reading the message then did not take the time to analyze the strategic nature of it, but it set a tone and created an environment that while conceptual, was also palpable. That is what great leaders do. They set the tone and create the environment for future success for those best placed to make it happen, on the street, the shop floor, the local cubicle or across a nation and perhaps someday, across the globe. This article is adapted from an article co-written by Dr. Mark Goulston and Kevin Gregson, Account Director, Insurance Industry, Towers Water.